Founded in 1682 to serve as the capital of the colony of Pennsylvania, Philadelphia quickly gained prominence as its central location made it a natural meeting point for America’s revolutionaries. The city’s growth continued through the 19th century as its position as a railroad hub and immigrant port helped it become a major industrial center. Between 1890 and 1950, Philadelphia’s population doubled from 1 million to 2 million residents. Similar to other industrial cities, Philadelphia’s population began to decline, starting in the 1950s, as a result of suburbanization and deindustrialization. Aiming to reverse that trend, the City has strived to promote downtown redevelopment over the past two decades, particularly in the City Center and University City neighborhoods. In 2007, Philadelphia’s population again began to increase, and since then, has experienced annual growth. 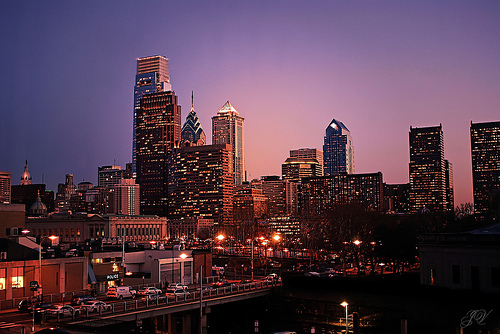 Today, with nearly 1,581,000 residents, Philadelphia is the nation’s 6th largest city. According to the most recent census estimates, Philadelphia is 42 percent black, 36 percent white, 13 percent Hispanic, and 7 percent Asian. It is home to the nation’s second largest Irish, Italian, and Polish communities and the nation’s third largest African American community. Despite the City’s success in revitalizing various neighborhoods, poverty has remained a core challenge. Philadelphia’s current poverty rate is 26 percent, which is roughly equivalent to the rate a decade ago and double the current rate of both the nation (12.7 percent) and the larger Philadelphia Metropolitan Area (12.9 percent). With more than one in four residents facing poverty, Philadelphia ranks as the poorest of the 10 most populated U.S. cities. Children fare even worse, with nearly 1 out of every 2.5 Philadelphian children living below the poverty line. Working to address Philadelphia’s longstanding urban challenges are a range of community wealth building organizations and initiatives such PIDC Community Capital. Aiming to provide capital and technical support to small, growing businesses in disinvested neighborhoods, the CDFI made 75 business loans and invested over $15 million in low-income communities in 2016. 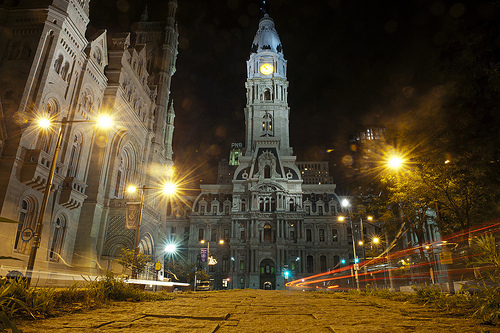 City government is also playing an active role in tackling the city’s socioeconomic problems through a range of efforts, including the creation of 12 financial empowerment centers, which offer free, one-on-one professional financial counseling in multiple languages to all Philadelphia residents, and its innovative Green City, Clean Waters program, which is credited with greening nearly 840 acres of land while creating 430 new jobs and spurring $51 million in grant investments into local parks, streets, schools, and public housing. Many of Philadelphia’s anchor institutions are also playing an integral role in boosting the quality of life for all city residents. One exemplary organization is the University of Pennsylvania, which not only annually procures over $100 million of goods/services from local vendors but also runs the Netter Center for Community Partnerships to foster community-oriented, real-world problem solving. Founded in 1906, the Federation of Neighborhood Centers (formerly named the Greater Philadelphia Federation of Settlements) nurtures intentional partnerships that build strong neighborhoods. FNC programs currently focus on youth development, urban farming, food access, workforce training, parent education, and re-entry. To support emerging community visionaries, the nonprofit also provides fiscal sponsorship and back-office services to roughly 20 projects in the Philadelphia area. Founded in 1970, Asociación Puertorriqueños en Marcha (APM) has constructed more than 210 affordable rental units and is a leading provider of social services for Philadelphia’s Puerto Rican community. The group has also been a commercial developer and is credited with helping to leverage $140 million in financing for physical development projects that have helped transform the community. Significant development projects include Gateway/Boriquen Plaza, a 44,000-square-foot supermarket and commercial center, and Paseo Verde, a transit-oriented development with 120 housing units, a pharmacy, a health center, and office space for APM. Founded in 1980 to restore dilapidated commercial storefronts, Mt. Airy USA Community Development Corporation has expanded its mission to preserve, empower, and advance a vibrant, diverse neighborhood by stimulating development responsive to community needs. The CDC’s real estate development program aims to transform blighted, underutilized areas into local assets and has resulted in new commercial space as well as quality rental and “for sale” housing. To help ensure area businesses succeed, the CDC also offers numerous business services including business marketing and promotion, affordable workspace, and business development assistance. The CDC’s Housing Counseling program focuses on foreclosure prevention, home improvement, and financial literacy, and is credited with serving over 6,000 low to moderate income community members. Founded in 1985, New Kensington Community Development Corporation (NKCDC) aims to strengthen the physical, social, and economic fabric of Kensington, Fishtown and Port Richmond by catalyzing sustainable development and community building. The CDC’s Real Estate Development Program focuses on converting abandoned buildings into housing or mixed-use properties. Completed projects included the Coral Street Arts House, which transformed a vacant textile mill into 27 units of affordable live-work space for artists and their families, and Awesometown, a former industrial site converted into mixed-income, sustainable townhomes. Other NKCDC programs include housing counseling, local business support, greening and vacant lot maintenance, neighborhood planning, and community engagement. Each year, NKCDC serves more than 30,000 low- and moderate-income families. Founded with a $12,000 budget and the goal of providing emergency shelter and food, the People’s Emergency Center has expanded its mission to nurturing families, strengthening neighborhoods, and driving change in West Philadelphia. To do so, the CDC advocates for public policy changes on behalf of families experiencing homelessness and provides area residents with affordable housing, job and technology training, financial education, and a range of social services. Since its establishment in 1972, the CDC is credited with investing over $60 million in eco-friendly, mixed-use development and open spaces. The Philadelphia Association of Community Development Corporations (PACDC) strives to create a more supportive environment for community development work and to build the capacity of area CDCs and community development practitioners. To do so, PACDC’s work focuses on policy development, advocacy, technical assistance, knowledge sharing, and the promotion of Philadelphia’s community development industry. The group’s accomplishments include the creation of Philadelphia’s Housing Trust Fund, which is credited with assisting 30,000 households, and the Philadelphia CDC Tax Credit Program, which has generated more than $30 million to support neighborhood economic development. Beginning in 1966 as a grassroots movement responding to city-planned urban development, Philadelphia Chinatown Community Development Corporation (PCDC) has grown into a prominent nonprofit group, responsible for the planning and redevelopment of the Chinatown community. The group’s goals are three-fold: 1) to protect the neighborhood; 2) to preserve Chinatown’s heritage; and 3) to promote community businesses and residents. PCDC’s accomplishments include the development of 219 housing units as well as commercial space. In October 2017, PCDC broke ground on its largest project to date—a $75 million mixed-use space that will include a 17,000 square foot community center, 30,000 square feet of retail/commercial space, and 150 housing units. Founded in 1992, The Partnership Community Development Corporation (TPCDC, and formerly known as the West Philadelphia Partnership) strives to build strong communities in West and Southwest Philadelphia. To do so, the CDC develops affordable housing for low to moderate-income families, provides home ownership education to first-time homebuyers, develops retail space, provides technical assistance to businesses and community groups, runs a green job training program focused on energy efficient technologies, and formulates revitalization strategies for commercial corridors. To date, TPCDC has developed 360 units of affordable housing and has leveraged over $65 million in private investment to support the revitalization of West Philadelphia. Committed to social and economic equity for low-income women and their families, the Women’s Community Revitalization Project (WCRP) develops affordable housing, provides supportive services, advocates for policy change, and honors and promotes leadership, dignity, and justice. To date, WCRP has built 282 units of housing—investing $90 million in the community. Its organizing and advocacy work is credited with bringing together over 60 organizations in campaigns that have secured more than $100 million for affordable housing development. Established by the Women’s Opportunities Resource Center (WORC) in response to the challenges its graduates experienced obtaining start-up capital, the Economic Opportunities Fund (EOF) is a CDFI focused on providing capital to low-income and underserved populations in the Philadelphia metropolitan area. To ensure its borrowers’ financial success, EOF offers a range of support services including post-loan technical assistance and tax credit preparation. Since its inception in 1999, EOF has made more than 350 loans, totaling over $1.2 million, that are credited with creating and retaining several hundred jobs. Established in 1997 by PIDC, PIDC Community Capital aims to support community revitalization, improved quality of life, and business growth, particularly among Philadelphia’s African American-owned businesses. To do so, the CDFI focuses on: 1) financing high impact projects in disadvantaged communities that create quality jobs, eliminate blight, and provide new goods and services; 2) deploying capital and technical support services to small, growing businesses; and 3) repositioning and transitioning underutilized real estate assets for productive use. In 2016, PIDC Community Capital made 75 business loans, over 60 percent of which were made to minority or women-owned firms, and invested over $15 million in low-income communities. Originally associated with the activist group Movement for a New Society, Life Center Association (LCA) transformed from communal housing to a community land trust in the late 1970’s and early 1980’s as it acquired more properties. Having shifted its focus from only serving activists to low-income individuals in the area, LCA now owns eight housing cooperatives with about 50 residents. Founded in 1977, Ardent Credit Union now holds $631 million in assets and has 32,000 members. To support its members, the credit union awards ten scholarships every year to members pursuing higher education and runs numerous seminars focused on financial education. Committed to its employees, Ardent offers staff up to $6,000 a year to cover job-related tuition expenses, has an on-site nutritionist, and has been recognized as one of the best credit unions to work for by CU Journal. Beaumont is a resident-owned, resident-governed cooperative continuing care retirement community designed to fulfill the social, recreational, and health needs of adults aged 60 and older. Committed to reducing its environmental and carbon footprint, Beaumont composts nearly 50 pounds of biodegradables on a daily basis (which it then converts into organic compost for its gardens), relies on geothermal wells to augment traditional heating and cooling systems, and uses LEDs in all common area and exterior lighting, among other eco-focused practices. Beaumont has about 300 owner-residents. Founded in 1961, Mariposa is a cooperative grocery store in West Philadelphia with more than 2,400 member-owners. Over 150 of its members participate in the store’s Working Owner program, which offers a 10 percent discount to members who work in the store at least 3 hours once every 4 weeks. Committed to food access, the co-op also provides a 10 percent discount to all low-income members. To expand co-op ownership to populations who stand to benefit most from access to nutritious foods, community engagement, and cooperative business ownership, the co-op has an Owner Fund that subsidizes $100 of its $200 equity requirement. The Philadelphia Area Cooperative Alliance (PACA) is a cooperative membership association for cooperatives in the Philadelphia region. Guided by a mission to improve the lives of people in the Philadelphia region by supporting democratically organized businesses, promoting the principles of the international cooperative movement, and growing the cooperative economy, PACA develops and implements programs to connect, educate, and serve Philadelphia area co-ops and cooperators. The nonprofit also advocates at the municipal, state, and federal levels for policies supporting the growth of cooperative businesses. The Philadelphia Free School (PFS) is a democratic school operated by its students, staff, parents, and community members, with each individual within the school community having one vote in decision-making. Opened in 2011 with 16 students, PFS now has 80 students aged 4-19 who work collaboratively on self-initiated activities and govern themselves and the school. The Philadelphia Service Cooperative strives to bring people closer together and inspire them to be part of their local communities rather than isolating themselves and competing for resources. Its flagship project is its West Philadelphia-based Service House, an 8-bedroom housing cooperative comprised of resident-owners who perform regular community service. The house also serves as a venue for socially conscious events and as a base-of-operations for social entrepreneurship. Started in 1979 as a spin off from Weavers Way Food Co-op, The Energy Co-op has expanded over the years to become a provider of renewable electricity, including solar, wind, hydropower, bio-mass, and bio-diesel. The cooperative has a three-fold mission: 1) to provide energy cost savings, education, and advocacy on behalf of members; 2) to promote the efficient use of energy and the use of renewable energy; and 3) to support cooperative concepts and participate in the cooperative movement. As of 2016, the cooperative had nearly 6,000 members and $3.7 million in total revenues. Weavers Way Co-op is a cooperative food market with a mission to provide high-quality, fairly priced food and a broader understanding of local, sustainable foods’ importance to its members and community. Established in 1972 in a store so small that six shoppers made it extremely crowded, Weavers Way now has 5 locations and 7,500 household members. To help make its products affordable for all community members, the Co-op’s Food for All Program provides a 10 percent discount and a reduced membership fee to people receiving public benefits. Moreover, all community members can receive a 5 percent discount if they work in the store at least six hours a year. Originally founded in 1882 as a private wholesaler in the floral industry, Pennock became an employee-owned company after the death of owner Samuel S. Pennock one hundred years later. Now as an ESOP, the business has grown to have over 350 employee-owners with business operations in 8 cities. Urban Engineers is a multidisciplinary planning, design, environmental, and construction support services consulting firm headquartered in Philadelphia. Founded in 1960 with just 7 employees, Urban Engineers now has 450 employees working across 15 offices. In 2014, the firm became 100 percent employee-owned. Committed to the community, Urban Engineers supports a broad range of nonprofits through sponsorships and employee volunteerism. Entrepreneur Works strives to create pathways of opportunity for talented yet underserved entrepreneurs. To do so, the nonprofit provides entrepreneurs in the Philadelphia region with access to microloans, business training, and one-on-one support. Since its formation in 1989, Entrepreneur Works has supported over 4,000 entrepreneurs and has made over 400 loans totaling $1.2 million. The Women's Opportunities Resource Center (WORC) aims to promote social and economic self-sufficiency for economically disadvantaged women and their families living in Philadelphia and its surrounding four counties. To do so, WORC offers a range of programs including business training, business assistance, incentivized savings, job placement, and access to business and financial resources. As of 2016, WORC’s training programs have graduated 3,600 people and helped start 850 new businesses, and its savings program has supported 1,429 people in saving $5 million. Founded in 1997 on the site of a former galvanized steel plant, Greensgrow includes an urban farm that grows over 2,000 pounds of produce each year, a CSA, a garden center that sells products and offers a range of workshops, and a commercial kitchen. In 2011, it launched Greensgrow Mobile Markets to bring affordable, fresh, healthy food into underserved and economically disadvantaged parts of Philadelphia, an effort credited with distributing more than 40 tons of fresh produce to over 15,000 customers. Mill Creek Urban Farm is a people of color-led educational farm and environmental education center in West Philadelphia that focuses on cultivating a healthy environment, growing strong communities, and promoting a just and sustainable food system. On a yearly basis, the nonprofit harvests over 5,000 pounds of chemical free-produce, about a fifth of which is donated to local food pantries, and engages over 1,000 people in farm-based education programs. To help youth in the Mill Creek neighborhood gain leadership and job skills, the farm also offers paid high school internships. Founded in 1827, the Pennsylvania Horticultural Society offers a range of programs, activities, workshops, and publications geared to gardeners of all levels and interests. One core program, City Harvest, aims to make fresh, nutritious produce more widely available by providing seeds to urban gardeners who have agreed to donate a portion of the produce to neighbors in need. To help inmates of the Philadelphia Prison System find employment in the horticulture and landscape industries when they transition back to their communities, the program trains inmates to grow seedlings for the City Harvest program. In 2015, City Harvest engaged 80 inmates and 140 gardens and farms that grew approximately 100,000 pounds of produce, half of which was distributed to 40 food cupboards and soup kitchens around the city. Founded in 2010 by area youth, Philly Urban Creators transforms neglected landscapes in North Philadelphia into dynamic safe spaces that foster connectivity, self-sufficiency, and innovation. To do so, the nonprofit relies on urban agriculture, interest-based learning, artistic expression, restorative justice, and celebration to foster neighborhood stabilization and youth development. The group’s base is Life Do Grow, a two-acre former garbage dump Urban Creators converted into an urban farm, art gallery, and creative hub. The farm grows organic produce, which it provides to local families and sells to the community at its farmers market. The nonprofit also runs a youth leadership program that empowers young people by engaging them in full-time work and training at the farm, and provides workshops and consulting to help others grow healthy food and life styles. Located within Bartram’s Garden, a 45-acre National Historic Landmark operated by the John Bartram Association and Philadelphia Parks and Recreation, Sankofa Community Farm is a 4-acre farm guided by the West African idea of Sankofa—a concept that embraces new learning while remembering the past and one’s roots. Cultivated by 20 paid local high school interns and about 1,500 volunteers, the garden produces over 15,000 pounds of food a year, which it sells affordably at neighborhood farm stands and through partnerships with area groceries, and 80,000 seedlings, which are transplanted to over 130 farms and gardens in the Philadelphia area. Providing gas service to more than half a million customers, Philadelphia Gas Works (PGW), established in 1836, is the largest municipally owned gas utility in the United States. To assist low-income residents, PGW provides discounts to seniors and low-income people through programs that benefited nearly 67,000 households in 2016. Also committed to sustainability, PGW launched EnergySense in 2011, an initiative credited with completing over 18,300 projects over its first 5 years that have enabled customers to save gas and money. To help prepare local residents for PGW jobs, the utility has provided internships to over 200 college and 110 high school students. Adopted in 2011, Green City, Clean Waters is Philadelphia’s plan to reduce stormwater pollution through green infrastructure. As of June 2016, the effort had created 430 new jobs in the green stormwater infrastructure industry and greened 837.7 acres of land, reducing pollution from stormwater runoff and combined sewer overflows by more than 1.5 billion gallons annually. The effort is also credited with spurring $51 million in grant investments into local parks, streets, schools, and public housing. Established in 1984, Mural Arts Philadelphia is now the nation’s largest public arts program, engaging communities in 50–100 public art projects each year. Through its Guild program, roughly 60 formerly incarcerated individuals and young adults on probation are offered paid apprenticeships, through which they learn job and life skills while working on creative projects designed to transform their neighborhoods. The 1-year recidivism rate for program graduates is just 16 percent, less than half of the state’s 35 percent average. Established in 1958 by the city of Philadelphia and the Greater Philadelphia Chamber of Commerce, the Philadelphia Industrial Development Corporation (PIDC) aims to spur investment, support business growth, and foster development that creates jobs, revitalizes neighborhoods, and drives growth across Philadelphia. To do so, the nonprofit offers a wide range of loans, tax-exempt financing, and technical assistance to businesses, developers, and nonprofits, and acquires, improves, plans, manages, leases, and sells industrial and commercial real estate. To date, PIDC and its affiliates have settled 6,700 transactions, including $14 billion in financing credited with leveraging over $25 billion in total investment dollars, and helping to create or retain hundreds of thousands of area jobs. Launched in 2013 with funding from Bloomberg Philanthropies and Living Cities, Philadelphia’s Financial Empowerment Centers offer free, one-on-one professional financial counseling in multiple languages to all Philadelphia residents. Services are provided at 12 locations across the city and focus on helping residents control debt, improve credit, create budgets, and access safe and affordable financial products. As of 2015, the effort was credited with helping nearly 1,100 people decrease their debt and around 500 people grow their savings. Established by Philadelphia Mayor Michael Nutter in 2013, the Mayor’s Office of Community Empowerment and Opportunity (CEO) coordinates the city’s anti-poverty strategy, Shared Prosperity Philadelphia, which aims to boost the impact of agencies and organizations working to reduce poverty by connecting and strengthening their efforts. CEO’s five key strategies include: 1) creating jobs and workforce opportunities; 2) expanding access to public benefits and services; 3) ensuring children have early learning opportunities; 4) improving housing security and affordability; and 5) fostering economic security and asset building. In 2017, CEO’s achievements included connecting 10,718 people to more than $10.5 million in benefits, launching a matched family savings account program, and helping hundreds of Philadelphians open safe, affordable bank accounts. Launched by University City District as a way to create job opportunities and beautify University City, Green City Works is a social enterprise that provides landscaping services to University City’s institutions and businesses. Committed to eco-friendly practices, Green City Works never uses chemical fertilizers, produces and uses compost from local organic waste, plants native perennials, and sources materials from local growers and producers. The enterprise’s landscaping crew includes 10 people, all of whom receive higher than average pay, benefits, and full-time work. Catalyzed to increase the wealth-generating capabilities of families living in Philadelphia’s underserved neighborhoods, Bridges to Wealth (B2W) provides free educational classes and wealth building opportunities for underserved communities. The program’s curriculum was developed by University of Pennsylvania Wharton School of Business and Graduate School of Education faculty who are also engaged in teaching the classes. After completing the program’s business literacy curriculum, participants can join self-governed savings groups (whose members pool investments and lend to one another) and investment groups. To increase its impact, B2W also provides training and support to community leaders so that they can direct business literacy efforts in their neighborhoods. To date, B2W’s programs have engaged over 2,700 adults and students attending 6 schools. The Center for Community Partnerships is the University of Pennsylvania's primary vehicle for community-oriented, real-world problem solving. Its work involves three key efforts: 1) Academically Based Community Service, which engages students and faculty in West Philadelphia public schools, communities of faith, and community organizations to address critical campus and community problems; 2) University-Assisted Community Schools, which tap University resources to help public schools become innovative institutions that educate, engage, empower and serve students, families and community members; and 3) Anchor Institution Strategy, which aims to engage the University in a democratic, sustained partnership with the community. The Center also supports the Anchor Institutions Task Force (AITF), which serves as an advocacy and movement building organization to create and advance democratic, mutually beneficial anchor institution-community partnerships. Formed in 2009, the AITF has grown into a network of over 700 leaders. Temple University’s Office of Community Relations aims to encourage community engagement by supporting volunteerism, hosting community organizations, partnering with community groups, and providing direct services to area residents. Services include monthly free job readiness workshops and the Pan-African Studies Community Education Program, through which residents can participate in low-cost, non-credit continuing education classes and career development programs. Through Temple’s 20/20 Scholarships program, the university also awards 25 students living in neighborhoods surrounding its campus with renewable $5,000 scholarships per year. Established in 1983, Temple’s Small Business Development Center helps start-ups and small businesses gain the knowledge and assistance needed to grow and succeed. Programs include free consulting services and a range of training classes designed for entrepreneurs and small business owners. The Center also houses an incubator through which it can provide consulting, training, intern support, and affordable space to area start-ups and small enterprises. Anti-Oppression Resource Training Alliance (AORTA) is a worker-owned cooperative focused on strengthening movements for social justice and a solidarity economy. With 8 worker-owners, AORTA provides workshops, trainings, and consulting services to help cooperative, collective, and community-based projects become better aligned with their social justice vision and values. Services are priced on a sliding scale as an intentional way to distribute resources equitably between organizations and to support and strengthen groups doing strategic movement-building work. Founded in 1993, Home Care Associates provides in-home medical and personal care to about 500 people living in the Philadelphia area. With a fourth of its 250 employees owning shares of the enterprise, HCA is one of the largest women-owned businesses in Philadelphia. Scoring in the top 10 percent of all B Corps for overall social and environmental impact, HCA has been recognized as “Best for Overall Impact,” and its training program has been nationally recognized for its success in recruiting and training qualified staff.